Published February 2018 by Orenda Books. My thanks to the Author and the Publisher for the review copy and Anne Cater for inviting me on to the blog tour. 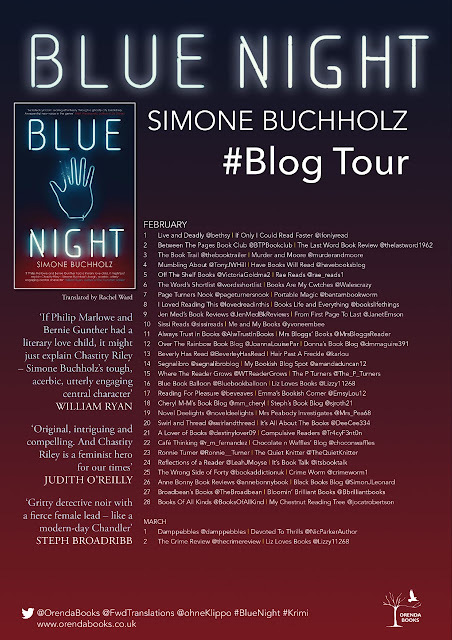 Blue Night has been a runaway success in Germany where the author Simone Buchholz is from. 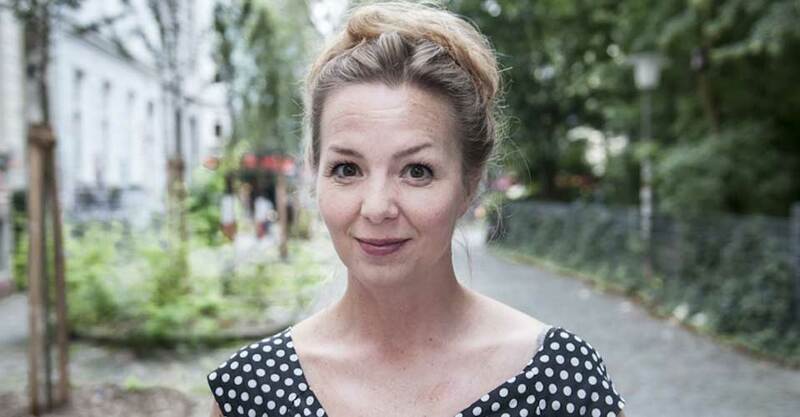 It has been seamlessly translated by Rachel Ward and deserves to a be a success across the globe. 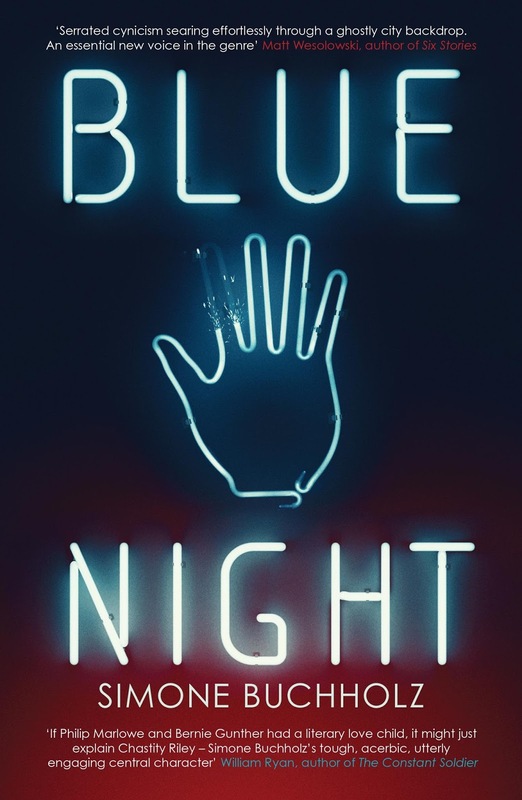 Blue Night is the first in a series to feature Chastity Riley, a state prosecutor that has recently been assigned a desk job. Her superiors preferring for her not to cause anymore problems. A new assignation through promises to be anything but boring. 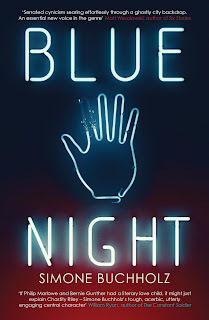 This is a relatively short novel at under 300 pages so I raced through it, the sentences were snappy and the writing was highly addictive and engaging. Once I settled into the underbelly of Hamburg there was no putting it down until I had read the final chapter. 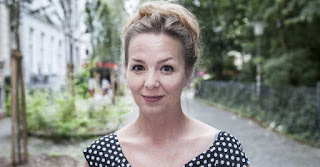 Chastity Riley is something of an enigma, we only ever really learn bits and pieces about her. I couldn't help but like her though, she has a certain fire about her and I look forward to learning more about her in future books in this series. This book had a very cinematic feel to it and I think that mainly came from the perspectives that the story was told and the snippets of information that were laid bare over the course of the book. German Noir is something new on me but I was utterly enthralled and will most definitely be reader more. 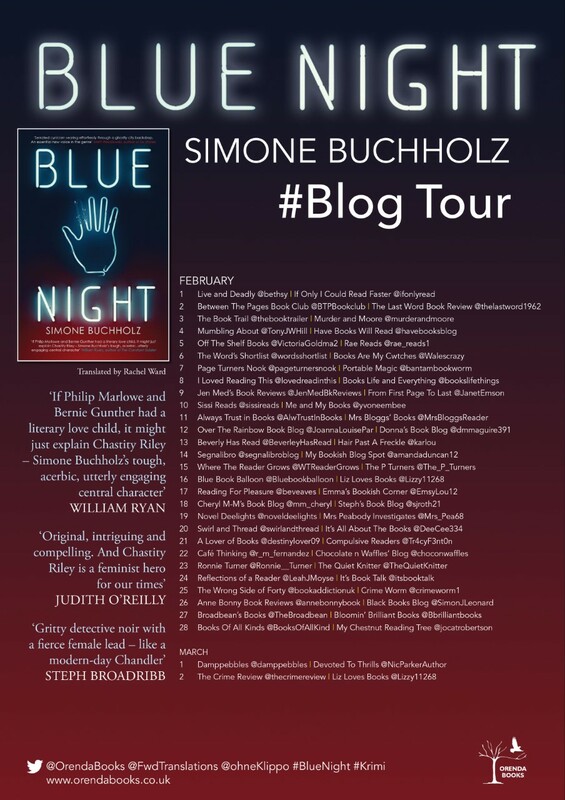 Simone Buchholz has a refreshing writing style and a unique talent of drawing the reading right into the heart of the story with the wonderful descriptions of Hamburg and a narrative that is spectacular.